When I was younger I had a great love for randomness. One of the things I loved to do was create charts for the random creation of characters, stories, treasures, and in this case, planets to be used with my Starfaring game. The following chart is from 1976. It made perfect sense to me at the time, but may not be quite so coherent now. This is just the planet creation section of a complete SF Story Writing set of random tables—I’m not giving you the whole chart because I think I’ve lost a good part of it, but all the planetary creation stuff is still here. Type 1 Earth-like planets support life on a roll of 2-11. 12 no life. Planets aren’t very interesting if they’re completely dead. 2-3 More than 1 intelligent race. Roll 2D6. On 7 let there be an alien race from space on the world in addition to natives. 4-12 Only 1 intelligent race. 9-10 Super tropical—water never freezes. No polar ice caps. Type 2 Venus-like worlds support life on a roll of 2-3. On 4-12, it is just an inferno hell world. Odd—the world is cloud-covered with atmosphere mostly carbon-dioxide and nitrogen. Even—the world is covered with a chlorine—methane atmosphere. Gravity is determined by the same formula as Earth. Gravity = .21D – 1/D. Type 3 Mars-like worlds support life on a roll of 2-5. If life is present, use the Life chart under earth-like worlds to determine type, frequency, and variety. 5-9 Mars normal, cold, cratered, thin atmosphere. Gravity determined by this formula. Gravity = .063D + 1d*2. Thus if D were 8, the gravity of this world would be 0.5055 earth normal. Type 4 Gas giant worlds support life on a roll of 6-8. Roll 2D6 for number of moons around the gas giant. Doubles add and roll over. Gravity is determined by the formula Gravity = .8D + 6/D. Thus a roll on 2D6 of 8 would yield a gravity of 7.15 Earth normal gravity. Type 5 Mercury-Luna planets are small rocky balls with no atmosphere. If they are close to their star, they are very hot. If they are distant, they are very cold. If they are in the Life Zone of the star (defined as a place where liquid water could exist) they are hot on the day side and cold on the night side. Roll 2D6 for life. On a roll of 2, there is life, but it is alien life that came to mine or otherwise exploit the planet’s resources. Gravity is determined by the formula Gravity = .05D Thus a roll of 8 would yield a surface gravity of 0.4 earth normal. Type 6 worlds are double planet systems. Earth and its moon, Luna, is a double planet system, but Mars with its moons of Phobos and Deimos is not. 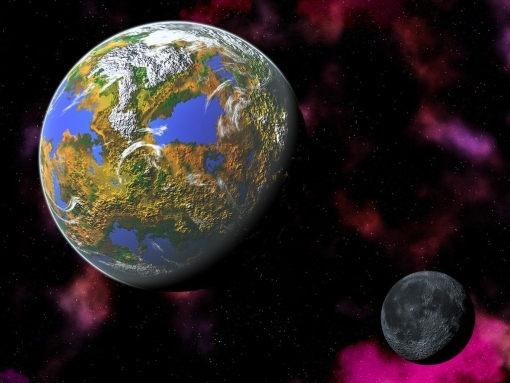 Roll 2D6 to determine the type of double planet. Determine the likelihood of life on each world by using the formulas above. Not all combinations have been covered as 11 numbers doesn’t give me enough possibilities, but the most likely are covered. Then for planet types around the star you would roll up each one starting with the closest and working your way out. 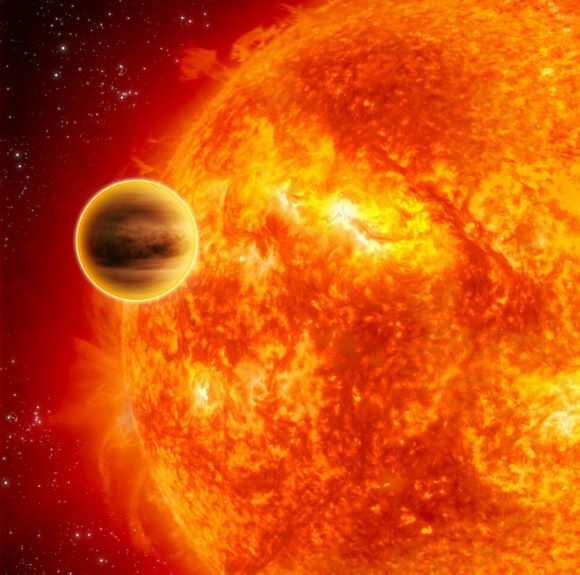 Recent discoveries of extra-solar planets have shown that they don’t have to be in any particular sequence of sizes or types. Gas giants can be in tight orbits. Small rocky planets can be very distant. Anything is possible out there in the galaxy. If you agree with my system of extrasolar planetary creation, leave a comment. If you think I need a few more semesters of astronomy, you can say that too. If you have ever created a star system and would like to describe your methods, please chime in.